This article was written after testing the new CRM card. We were impressed & excited, but unfortunately not all of them were positive. At firstly, we will respond to the frequently asked question on the new CRM card & then we show its pros and cons. Afterwards we will review always the controversies and decide on who will benefit if we provide the new CRM card, and who is will have to wait for a late date. 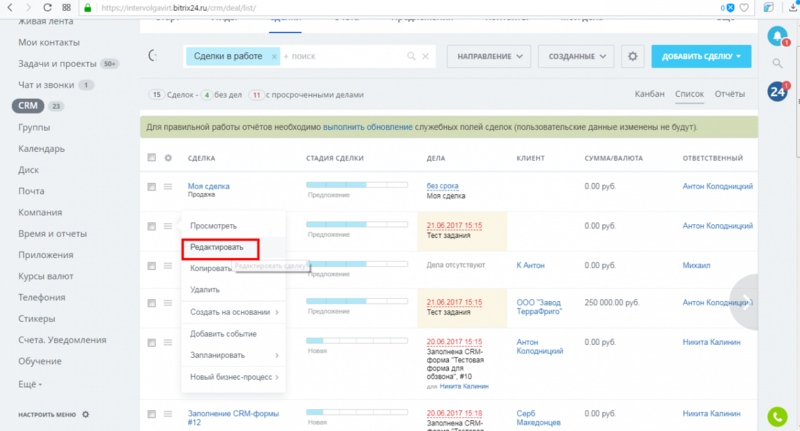 Strong interface changes caused many difficulties for users accustomed to old work scenarios, thanks to Bitrix24 for giving an opportunity to reinstate the old CRM card. But the setting is hidden so deep on the interface which makes it seem like Bitrix24 wants the clients to use only the new card. There is one more novelty: now you cannot copy a link to a deal (lead) from your browser’s address bar. Under standard conditions (for opening a new deal) it opens on a slider. Before this condition was implemented in tasks, one could get a direct link to a deal or a lead just by clicking on a special button near the header. It is not quite clear, why the colleagues from Bitrix did not add a parameter with # in the address string as is customary in brand-new Ajax interfaces. For instance, Vkontakte can fully change browser’s address bar without reset. It is clear that “a clever one will notice the clasp”, but this is an example of failed user interface as people will often send “a link to a lead” or “a link to a deal” that will turn out to be a “wrong link”. To add goods you have to choose Goods at the tab and click on Choice of goods button/option. We hope, it is a temporary decision. The tab looks quite hidden and inconvenient. We can switch to another direction to the detailed page of the deal. “"Deals in work” are transferred to the first stage of a new direction, won - in the stage "Deal is concluded”, and failed in the stage "The deal is not concluded". Note that the history records will be deleted for the changes in the stages of the old direction. In addition, the user fields that participated in the calculation of the data for the reports will collect the statistics afresh since the transfer of the deals is reinstated. In our Bitrix24 portal for some reason the Face-tracker is automatically selected as a source of new leads( Maybe Bitrix want to promote the new tech that way ) However, it looks like a bug that should be fixed. The comment to a lead is hidden in the Additional tab now. To fill it you have to click Change in the right-top corner of the block. According our information, the Bitrix team thinks that forming of the lead is fast and rapid process and all additional descriptions (comments and so on) should be on the feed of the right part of the interface. Therefore, we have either to get used to this feature or escalate our dissatisfaction to the support. An attempt to drag a field from one block and to drop it to another field failed. We found out that drag & drop between different blocks will be completely impossible in future. But the possibility to move a field in other block will be released through “Chose field”. The drag & drop of fields will remain a way to change field order in a particular block. Dragging block to a right column also failed. The right column remains reserved for the feed. Field Goods is inactive and we could not add goods to the lead with it. You have to get back to the top of the card and chose a Goods tab. 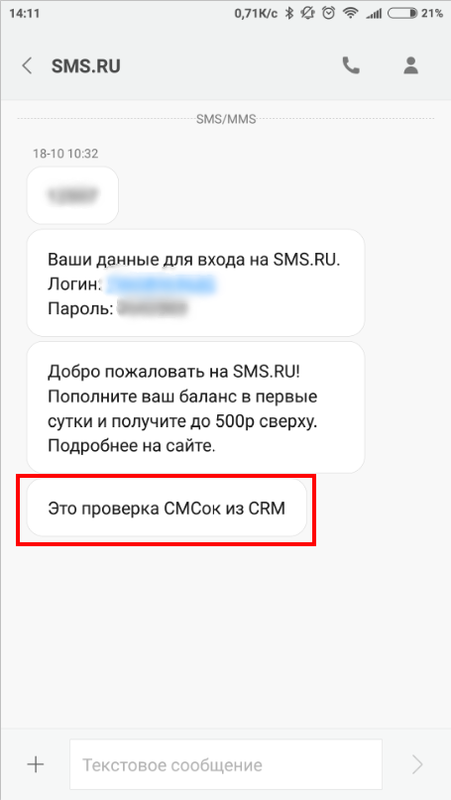 As it appears, a block in the lowest part of the CRM card was formed as a full. We can see analog of this block in Bitrix online store when placing a new order. Many users were frustrated due to inability to edit the block. Likely, function of adding goods and their reflection in the card will be finalized. If you accidentally close a lead clicking to the cross or pressing esc, the data will not be saved. And there is no warning. Bitrix representatives say they know about the problem and consider two solutions: warning of unsaved data or saving the information before the closure of a lead or a deal. The second solution means that if the user press add again, it will open the form with the already entered data. Once again, it looks like an evident bug. Further the first section of the field will be opened for editing. However, the main modification is combination of editing and review functions on one url. It is important for packaged versions with improvements to CRM. One more temporary but uncomfortable decision is to change, for example, a person in charge of the deal should press Change. Only after this you can change the person in charge hence we consider it to be an excessive action. One block is editing while the second is read only. Before the deal feed was an all-purpose repository of information, where you could add files or write text using Visual Editor and referring the employees. Now you can put only text comments without files and Visual Editor. Concerning files, they promise to reinstate them. As a temporary solution you can create additional File-type field of a deal. But it seems we won’t see the Visual Editor any more. According to Bitrix representatives, it strongly slows down the page loading(up to 1 sec). We would appreciate the fast loading, but we want references, text selection (bold, italic) and lists back. Below are several bugs. Most likely, they will be fixed as soon as possible, as Bitrix24 updates are often released. Almost before the publication a colleague wrote an article on the INTERVOLGA work chat. He keenly asked them where were the comments of the tasks linked to the deal were. We had to deal with it. 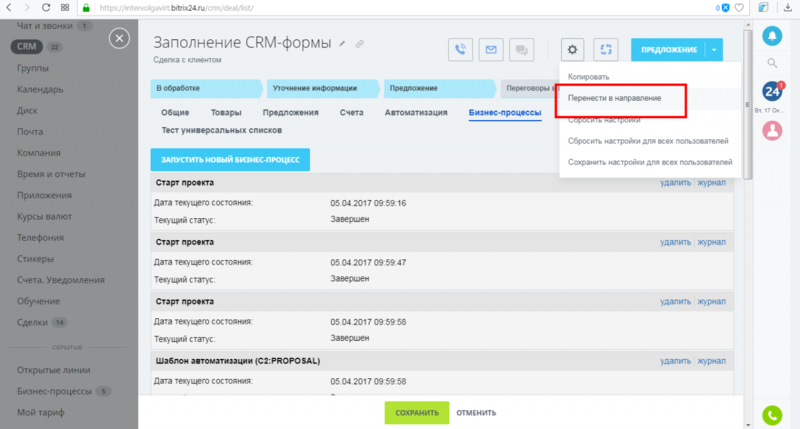 And actually the deal feed was displayed a task bound to the CRM element. But the comment to the task does not fall there. We are irritated as it is extremely uncomfortable I think, they will also fix it on the soonest updates. We tried to choose an employee, but nothing happened. It seems the brand-new CRM card was not acquainted with the old-fashioned selection window. There is a Direction field but options are not shown and you can’t select anything. Sending SMS directly from the deal or the lead was formed a long time ago. Moreover, for customers with package versions of Bitrix24 we have even done this revision. Now it is available for cloud Bitrix24. We must pay tribute to Bitrix - registration in the service partner is really fast. It took me less than a minute for SMS delivery as I tested it. Bitrix implemented a convenient interface for sending e-mails from the transaction. Nothing is overrated as all what you need is such a visual interface, attachments, copies and hidden copies are included. The most important and good thing is that the delivery status of the email, you can verify if the client has read you’re the email or not. But there is a subtle difference when the "Read" status is stamped, an invisible picture is automatically added to the message. So, if the user has disabled pictures (which is the default state for some email clients and services), then you will not see the "Read" status. However, these are limitations of technology, there are not caused by Bitrix. What the users have been waiting for: Previously, regular deals were made through business processes now there is a separating item in the deal card. I'm sure this function will become popular and will develop. The problem is that a day ago I had set such a reminder for the deal, but nothing happened. I think this is a bug that can be quickly fixed. But the idea is good. Another possibility that we lacked before, is the transfer of a transaction from one direction to another. This opens up great opportunities for automation. For example, in one of our clients from the sphere of crediting, different directions of the transaction are used for different stages of work. One direction for the primary attraction of the client, the second direction for working with debts, the third direction for judicial work, etc. Previously, it was not possible to switch the transaction between directions. We had to come up with workloads of copying information. Thanks to Bitrix for a useful innovation! How to switch the transaction in another direction is written here. There are a lot of bugs and oddities. At the same time, we understand that it is impossible to remodel such a complex tangle of functions and interfaces painlessly. Bitrix got an interesting update. If you are just starting to work with CRM Bitrix24 or your processes are fairly simple and close to the standard ones, safely switch on to the new card, for it the future. However, there are still many errors and oddities. Bitrix fixes them with high speed and promises updates. According to the representative of the company, now only 15 percent odds and modifications are released. The most interesting updates are ahead. But you can already tell to whom the new update is contradicting. If you have a seriously packed CRM and if you have a modified card, then implementing this update will be very painful. But if you have the same "box" with minor modifications, we would recommend you to do as you wish.